The problem with online selling is that many Customers are disconnected from a real person who can answer their questions in real time with precision. 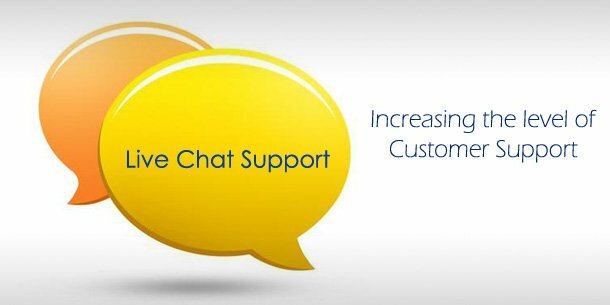 Rather than watching potential Customers click away from their websites, many businesses have been adding Live Chat Support. As it turns out, live chat has the ability to provide the convenient answers that customers want, while also adding significant benefits to the staff and bottom line of companies. Live Chat is convenient for Customers. Live Chat cuts down on costs. Live Chat taps into Customer pain points. Test it on our website. Your visitor clicks on the chat button at the bottom of your site then you get the message on screen or even on your smartphone! You can save the chat log or can get it forwarded to your email address. Such a brilliant and professional way of customer support! Some providers offer live chat for free, we have tested almost all of them and we faced numerous issues so we ended up with a professional but affordable service. Prices start from $19 per month (around £12) BUT you can test it for FREE for 30 days. Technically, you will need to connect your own website to the live chat server, it’s all about inserting codes into your site. Don’t worry, we can do it for you in a professional way for a small one-off fee: £15. That’s it. Download the app to your phone or tablet (optional) and start using your new Live Chat Support. Questions? We are always here to help!